This announcement serves as public notice that all JPG and JPEG images on http://www.PopRewind.com will from this point forth be JPEG2000 images. The new industry standard of digital pixels has been up and coming for the past fourteen years and we feel it is time to make the switch for the betterment of not only our loyal followers but all humanity included. Please update your Netscape web browser settings accordingly. 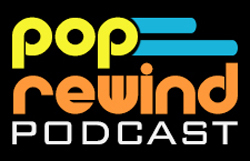 PopRewind.com is staying on top of the latest trends, always striving to give web surfers the ultimate information super highway experience. Stay tuned for our upcoming press release on your new choices of a frames or no frames version of the site.